Here at Twilio, one of our core objectives is to inspire and equip you to you build new things – even just for fun. Our latest experiment along those lines? A cellular connected portable fax machine. You heard that right: a fax machine! While a fax machine probably won’t be the next hit holiday gift, we think it’s great inspiration for your next IoT project. A Raspberry Pi and thermal printer are at the center of the required hardware to build this beast. 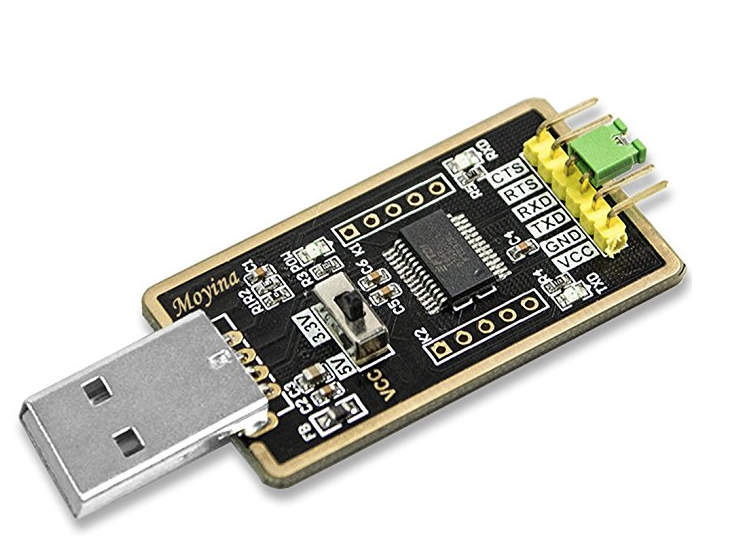 You’ll use a USB to TTL serial cable to connect to the Raspberry Pi headlessly and won’t need a mouse, keyboard, or monitor. The whole thing is connected to an LTE USB modem for optimal speeds. Expect to need extra thermal printer paper? Amazon has that too. Built with Vue.js and used to preview and manage the faxes that come through. Follow along with our quickstart to configure your headless Raspberry Pi. You’ll set up the Raspbian LITE operating system, a USB to UART bridge, a Huawei E397 (Cricket) USB Modem and some packaged scripts and finish with a Raspberry Pi on the internet using cellular connectivity. 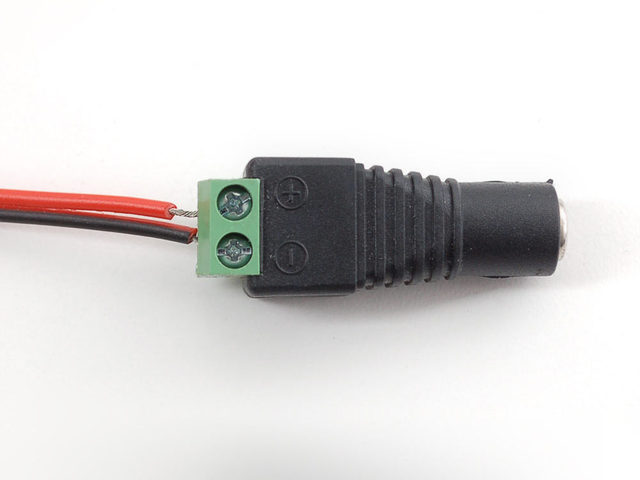 Pull firmly on the plastic casing covering the DC printer cable then screw the red and black cables into their respective terminals in the female DC power adapter. Consult the image below if you need a visual. You can connect the GND, RX, and TX printer cables directly to your Raspberry Pi GPIO header or you can preferably connect to the USB to TTL adapter. I used the USB adapter for versatility – by doing so I also gained the option to plug the printer into my laptop. For the USB adapter, plug the black wire of the printer cable into GND, the yellow wire into TX, and the green wire into RX. Go ahead and plug your DC power adapter into the printer and the USB adapter into the Raspberry Pi. Finally, power up the Raspberry Pi – you’re done with the hardware configuration! 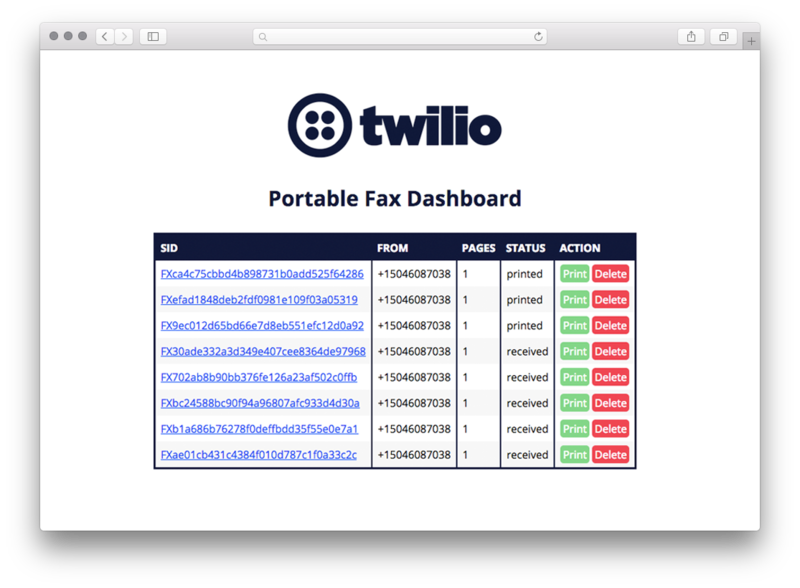 There are a couple necessary steps to have a Twilio virtual phone number receive faxes and forward them to the printer. Navigate to our project’s Github repository for step by step set up instructions. There are many options for you to host the backend. In general, you can either host the code on a cloud hosting platform such as Heroku or run it locally. A quick disclaimer is in order: It’s a better idea to run this code locally and to not upload to a cloud hosting platform. The code for this project is meant for demo purposes and was not created with security in mind. 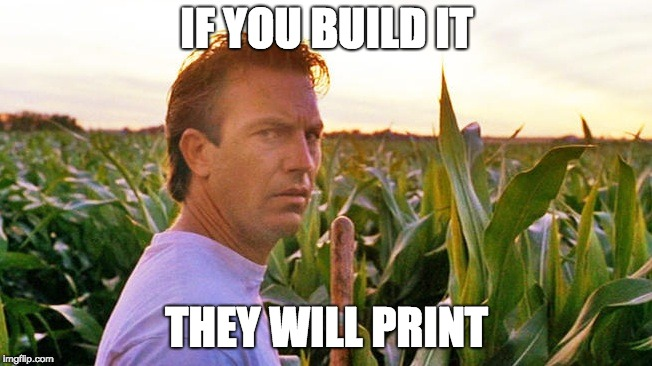 Follow along with the step by step instruction in this project’s repository to set up the server required to run the Vue.js dashboard and send bitmaps to the printer for printing. Next up, we’re going to Node.js to run the fax client software on the Raspberry Pi. Follow along with the Raspberry Pi client instructions to learn how to find your USB interface and install the Node.JS modules. The time has come to send a fax to the printer. Your fax will show in the web dashboard after a few moments of processing. Click the Print button to send the fax to the printer. Watch with amazement as the printer starts with near instantaneous speeds. Notice the status of the fax update in the dashboard. Click the Delete button to remove the fax resource. Feel free to click the Print button again for fun. You’ve probably noticed by now that this is really just a fax printer. 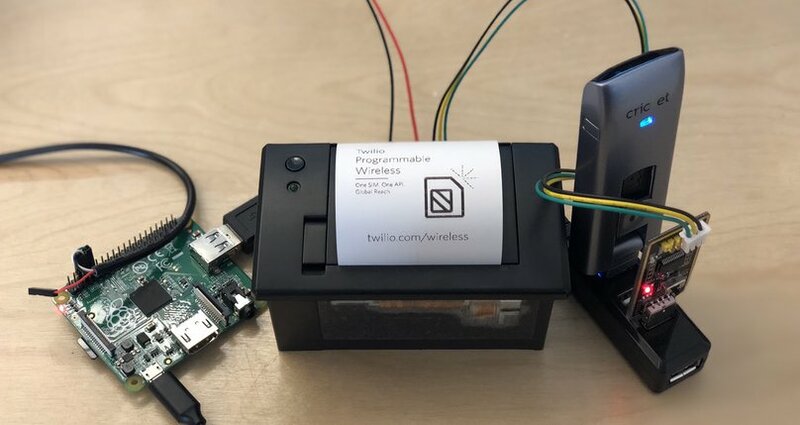 Grab a Raspberry Pi camera and use opencv to take photos and send it out to another fax machine by updating the dashboard to send an event to the printer to capture a photo and accept a phone number. Then create a pull request to the wireless-portable-fax repository and share the knowledge. Looking for more inspirational material? Take a look at our other Programmable Wireless tutorials and our Blueprints. Want to see the cellular Raspberry Pi Fax Machine in action? Join us at Engage Santa Clara, play with the fax machine, and play the new TwilioQuest Wireless mission! Watch the Twilio Engage page for details.